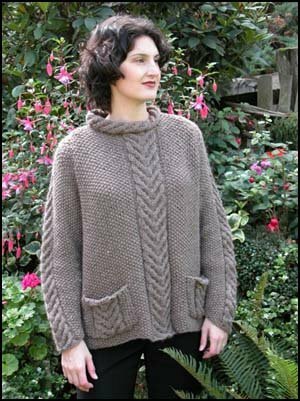 This raglan pullover is a quick knit on size 10.5 needles. Kit comes with enough yarn to complete your project and the pattern is free! Gauge is 16 sts = 4" in stockinette stitch. US 10.5 needles are not included.